Emerging markets continued to be buffeted by worries about the US Federal Reserve’s upcoming “taper” last week. While two weeks ago it was India in the headlines – as its new central bank Chief arrived on the scene with enough momentum and esteem to single-handedly calm the markets, this Thursday it was Bank Indonesia (Indonesia’s central bank) which felt it necessary to take action. Jakarta faced some of the same problems that confront New Delhi, most significantly a slowing growth rate complicated by capital flight, a loss of confidence and a corresponding drop in the value of its currency. Indonesia’s problems were made more complicated, as Pacific Money has previously noted, by the presence of inflation stalking the economy. So when the Bank Indonesia announced a surprise rate cut on September 12, it was again aiming at to both rein in inflation and shore up the embattled rupiah. The bank raised its main lending rate by 25 basis points to 7.25 percent, as well as increasing the deposit facility interest rate by the same basis point count to 5.5 percent. Despite this, with inflation for 2013 expected to be from 9-9.8 percent, real interest rates essentially remain negative for the year – a dangerous distortion (albeit one that is expected to reverse during 2014). In the same statement, the central bank also acknowledged that the recent rate hikes combined with the current account deficit and capital outflows were affecting growth prospects for Southeast Asia’s most populous nation. The estimate of Indonesia’s growth for 2013 was cut from 5.9-6.2 percent to 5.5-5.9 percent. This prediction is still more positive than that of the International Monetary Fund (IMF), which recently cut its own forecast from 6.3 percent down to 5.25 percent. The markets took the rate hikes in their stride, with the Jakarta Composite Index closing up on Friday. It would seem that investors took Bank Indonesia’s move to be the right thing, and that the benefits of arresting the currency slide, tackling inflation and pressuring the current account deficit would outweigh the risks to economic growth generally and financing costs in particular. Markets are happy for now then, but we still have the looming (if already anticipated) shock that will come when the Fed finally does begin the much feared “taper.” Like India, Indonesia is in need of some tough economic and financial reforms. Corruption, legal reforms and economic opening have all been talked about for months. 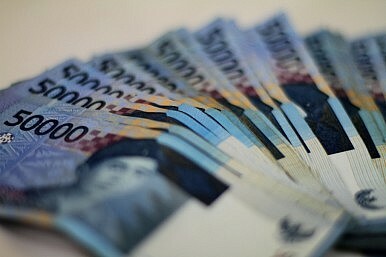 Talk is talk, but soon Indonesia may need something more to keep foreign capital interested in the country. Another factor is China, whose demand for certain commodities has been a boost to Indonesia’s growth throughout the past decade. Although seeing some ups alongside its downs, China is in the process of a major economic restructuring, which promises to see runaway investment levels fall and consumer spending hopefully take up the economic baton. That will not be kind to commodity exporters such as Indonesia, so there is extra urgency to Jakarta’s reform process. Despite an uncertain outlook, investor and consumer confidence is high.